Go Tours Canada is bringing their award winning experience to Ontario Place for summer tours. This is your opportunity to traverse Ontario Place by a Segway PT! We’re offering the perfect date at Ontario Place with two person tours. Due to the limited availability, we recommend booking ahead to ensure you get your preferred spot. 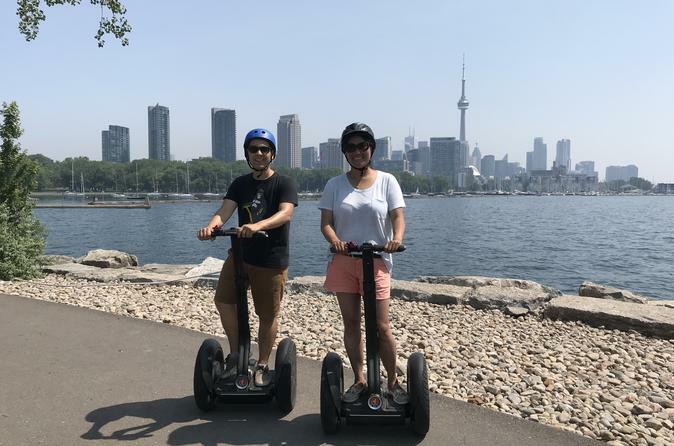 The tour includes Segway training, an hour long tour and multiple photo opportunities. Start off with a training session on how to operate the Segway PT. Following the training session, guests will embark on a guided tour of the East and West Islands of Ontario Place. Topics on the tour include the history of the area and how it came to be, the surrounding geography, current events and exhibits, and more. There are many great photo opportunities throughout the tour (your tour guide is more than happy to take photos). Some of the many sites/points on the tour include the lookout points, marinas, breakwall, Cinesphere, Trillium Park, and event spots. The tour is usually 60 minutes in length.